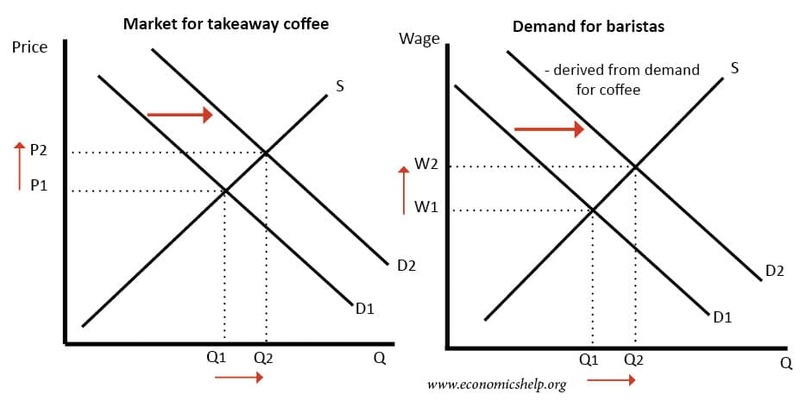 Derived demand occurs when there is a demand for a good or factor of production resulting from demand for an intermediate good or service. The rise in demand for mobile phones and other mobile devices has led to a strong rise in demand for lithium. Lithium is used in the batteries. 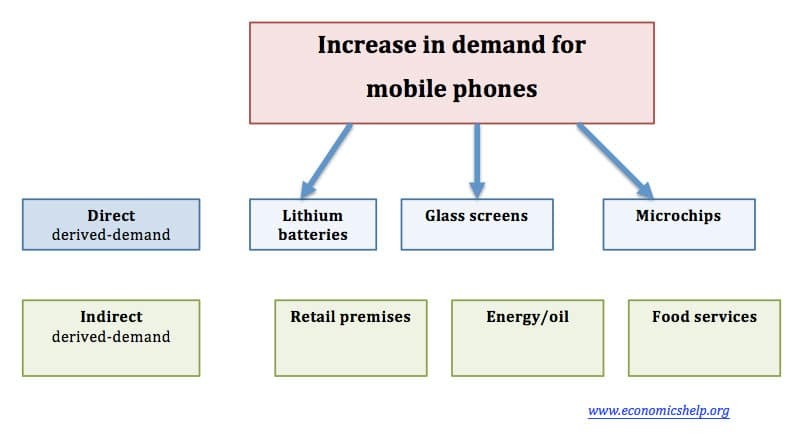 Higher demand for mobile phones has caused greater demand for lithium batteries. The increase in demand for mobile phones will also cause derived demand for other components such as glass screens and micro-chips. Indirectly, a rise in demand for mobile phones may cause a rise in demand for retail premises (to sell them). There will also be derived demand for energy/transport and even food services in the location where phones are produced sold. The demand for economic tutors depends on the demand for students wishing to study economics. If students sign up for an economics course, then the college will demand tutors to be able to teach the students. The demand for coal workers is highly dependent upon the demand for coal. As the demand for British coal fell in the 1980s, demand for coal miners declined. If demand for the good increase, the price and MR will increase leading to higher demand. Demand for transport tends to be determined by the demand for another service/activity. If people need to get to work, they will demand more bus journeys. Few people take a bus for the intrinsic pleasure of a bus journey. Demand for car travel in the UK is closely related to economic growth. WIth more economic activity, there is greater demand for travelling by car. Mp4 downloads and an iPod player. A tennis ball and a tennis racket. thank you so much for this information it has really helped me understand derived demand to a simpler understand. Is demand for cement derived demand? Yes. Demand for cement will depend on demand for housing and construction. 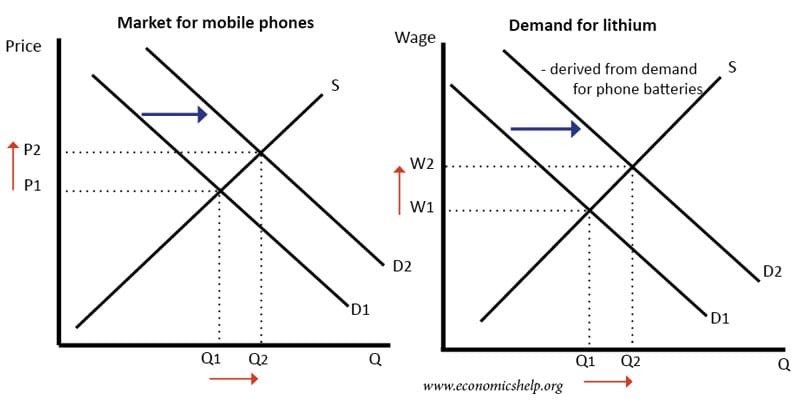 What is the difference between Derived Demand and Joint Demand? Its so helpful,,,,, how can I cite this article?? Install citeforme in the chrome extension, and using that, you can easily create a citation of this article or any article on the web.